So why do dogs get carsick? What can be done about canine car sickness? Just like us humans, our best furry four-legged canine friends can also suffer from motion or travel sickness. This can make car journeys awful for them and you. There are, just like for humans, tablets that your dog can take available from the vet or pet stores. Humans can do another number of things to minimize travel sickness problems. This list includes sitting in the front of the car, looking at a fixed point rather than the moving road, having access to fresh air, and deep breathing. But these cannot be forced upon dogs, and it is often a difficult and frustrating condition to manage. As a pet owner, you want what is best for your pet. This is inevitably products that occur naturally; don’t contain a whole load of chemicals and whatnots that could cause adverse reactions and something that will be super effective. There is a preferable, natural alternative that has proven positive effects on canine car sickness. This natural remedy is called CBD. 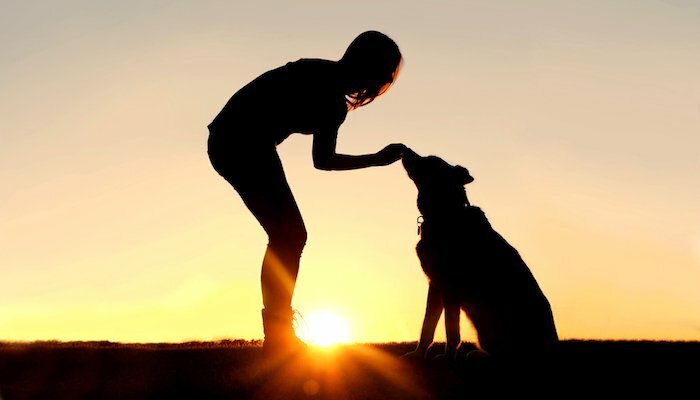 CBD is a cannabinoid substance extracted from a cannabis plant and has proven health benefits, environmental benefits and now CBD benefits our beloved pets. Sounds too good to be true? Well, it isn’t. There are, again just like humans, so many reasons why this car sickness may occur in dogs. A primary cause is linked to the inner ear. The inner ear is used to focus balance; and ultimately, if this is upset or disturbed in some way, then motion sickness can occur. It can cause feelings of dizziness, nausea, and sickness. Travel sickness generally occurs when this has been disrupted in some way. Normally this is because the movement of the car plays up to the balance receptors in the inner ear, causing an upset and leading to illness. This sensation is called sensory displacement. Sensory displacement is more simple than it sounds, all it means is when what the eyes are seeing isn’t matched by what the body is feeling, and then the body is suffering from sensory displacement. Therefore the brain has two different pieces of information and gets confused. Sometimes, and quite often so, younger dogs suffer more owing to their lack of development, especially in the inner ear. If your puppy suffers with travel sickness, owing to the nature of dogs, they will forever associate the car with feeling sick and completely out your control will associate it with being a negative place for them to be. This may lead to stress and or anxiety being the cause of car sickness. A remembrance of what happened before causing a panic and therefore aggravating past symptoms that may not have otherwise been present is common and unfortunately unavoidable once a dog has had a negative experience with being ill and poorly while travelling. Not only this anxiety, but other anxieties can also cause sickness in dogs. For example, if your dog has been in the car to go somewhere like the vet or the kennels (all things that they may find stressful), then the stress caused from that event will be remembered and brought into play when getting into the car again. This can cause vomiting and other car sickness symptoms purely because they think they will have to go through something that they found stressful before, once again. These are all, of course, negative emotions for your dog. As an astute pet owner, you will be able to tell when something is wrong with your little friend from the smallest ailment to the biggest troubles. With carsickness, there a fair few tells that will help you identify whether or not your dog is suffering from motion sickness. Perhaps the most obvious sign that something is wrong, vomiting is a definite sign that carsickness is occurring. 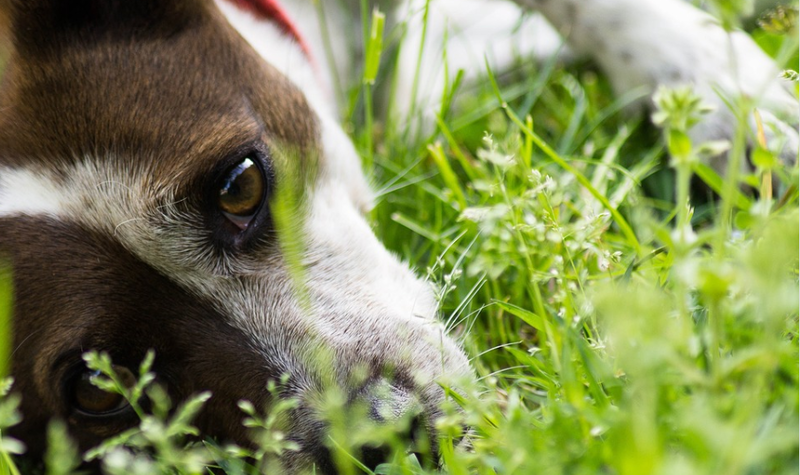 It can come on quickly, or take its time but if it’s going to happen it will not be fun for anyone involved, least of all your dog.Sometimes, however, there are signs that may come before your dog reaches the stage of vomiting. Yawning in dogs can mean many different things. Yawning can be a sign of stress – obviously feeling ill is a stressful experience therefore yawning may be an indicator in this situation that sickness is about to occur. Dogs use yawns often to regulate themselves, whether that is regulating excitement, boredom or anxiety.There will be cases when of course, your dog is just yawning and you’re reading too much into it. However, yawning on repeat or in quick succession can indicate that something is wrong. It is a good thing to look out for and can help you understand what might happen next by reading your dog’s mood.One fun fact about yawning and dogs is that if a dog has a particularly strong bond with their human companion, much like humans catch yawns from other humans, your dog may catch your yawn as well! Trembling in dogs can sometimes be a sign that something more serious is at play, for example, a problem with the kidneys. However, you will be pretty safe in assuming that in the context of them being in a car, it is a prelude to a vomiting episode because of car sickness.Often though, dogs shake with excitement. It is again about reading and assessing the context in which the shaking is occurring. It is a good way of telling that your dog is feeling under the weather if they are not in a situation that normally excites them. Drooling, excessive saliva around the mouth and lip licking are all signs that something is wrong. Excessive saliva which leads to drooling is your dog telling you that they are feeling very uncomfortable, in circumstances such as related to being in the car. It is worth noting that some dogs are naturally very drool orientated, so it is an easier thing to take note of in breeds that aren’t really big droolers for example spaniels.Sometimes is it because of anxiety and therefore excessive panting, which is common in stressed dogs. Excessive panting can lead to drooling, which can lead to dehydration and mouth dryness and a very upset dog on top of already being, very upset! So watch out for this one, it needs monitoring closely. All dog owners can hand on their heart declare that at some point or another, their dog has had a good old chew on something. Yet, can chewing be a sign that something is not quite right in the pup universe – answer, yes it can.Again, much like the other symptoms that are caused by car sickness, if a dog is chewing it is a sign of stress and anxiety. It is up to you as the owner to decide whether this is naughty chewing, playful chewing, or stress chewing. Each has their own defining characteristics as per each individual dog, and you know your dog better than anyone else! This is self-explanatory. Dry heaving comes right before throwing up properly, or in some cases in place of vomiting properly. It can cause dehydration and stress and should be monitored and made right immediately upon spotting to minimize stress and discomfort in your dog. Is your dog normally happy, giddy and raring to go? Most dogs enjoy a good walk and get beyond excited when you utter those three little words… ‘Want to go walkies?’ Yet, sometimes you will see that on a way to a walk in the car, the dog is slumped, sad eyes i.e. looking down and very sad, and not really being themselves. This is your dog showing you that they are not feeling well, and they are not feeling up to their usual levels of excitement. This should be taken into consideration with other symptoms, as some dogs just behave very well in the car regardless in a similar fashion to appearing to be lacking in energy. Now you know what to look for, you may be able to reach your pooch before they get to the vomiting stage and make them feel better. Good question! There are several tried and tested methods that may help your dog feel better about traveling and being in the car. Pamper them! Though it might sound a bit silly, making your dog feel loved and pampered before they get in the car can work miracles for their car sickness, especially if the car sickness is stress induced. What do you do for yourself before going into a stressful situation? You look after your self. You do breathing, you make sure you feel clean and you’ve taken steps to make yourself feel better. The same principle can be applied to your pet. Make sure they are nice and super calm before getting in the car and try and maintain that level of calmness once they’re in there. Once actually in the car, make sure that your dog is facing forwards. Much like humans, facing forward and being in front of the car can really help your dog. Sometimes it works to put them in a cage or carrier in the front, or if that is not convenient elsewhere in the car. 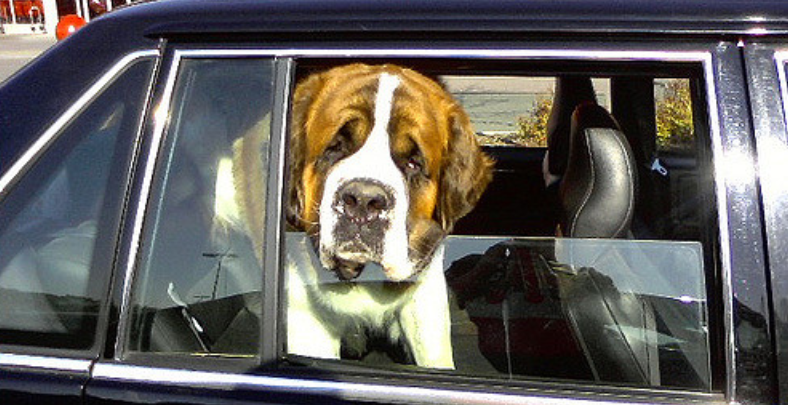 Though this may cause more stress in some dogs, other dogs find the lack of sensory stimulation calming and therefore they are less likely to have a vomiting episode because of it.It is well known that dogs and hot cars don’t get on, and this is true not just for being left in there but for traveling in there also. Keep the temperature nice and cool and if possible have fresh air circulating through. Don’t stuff their faces! This one is pretty self-explanatory. Fact: a full stomach can lead to sickness. The same is true of dogs. If they are traveling on a full stomach, there is more for them to vomit. 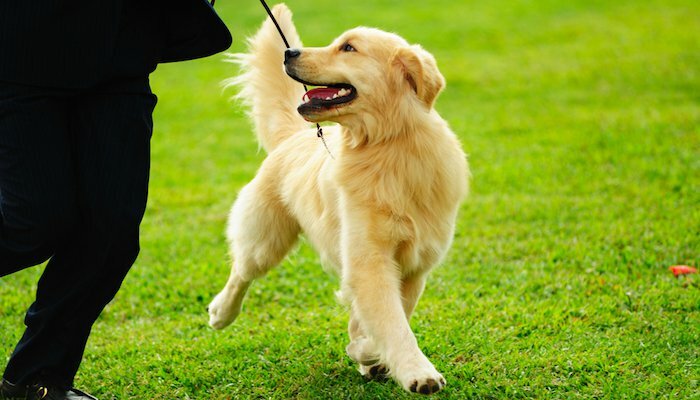 Practice makes perfect: Run through a new routine with your dog. If they are scared or anxious about the car it is up to you to retrain their brains and ways of thinking when it comes to traveling.You can be a big reassuring factor in their lives and help to calm their fears and it is no different when it comes to helping them get over traumatic experiences that they might be holding onto with regards to traveling.Keep them calm and try and move the negative experience into a positive one. Get them into the car quickly and safely, rather than letting them get wound up outside of the car. When they are in the car, sit with them or near them and do your usual methods of comforting i.e. petting, rubbing and talking to them.It is also a good idea to keep the traveling to a minimum and build up the journey time in intervals of five-minute increments. This is slow but steady wins the race approach, it requires lots of time and patience but it is worth it to make your pet happy and comfortable and ultimately at ease with traveling longer journeys in the future.It also won’t hurt if the destination is somewhere that your pup will find really exciting and positive, for example, one of their favorite walking grounds like the beach or a favorite wooded area. Natural medicines: For example one tried and tested method is mixing water with baking soda and giving your dog the mixture to drink. Much like fizzy drinks, the carbonated bubbly water helps settle the stomach. Ginger is also meant to be amazing for helping with sickness, just ask pregnant ladies suffering from morning sickness. Other medications: Antiemetic drugs are drugs which are specifically designed to target nausea symptoms and relieve them. There are quite a few options available for dogs suffering from nausea related ailments such as carsickness. 1) Mirtazapine: Actually this drug is an antidepressant for humans; it works as an anti-nausea drug for canines too. 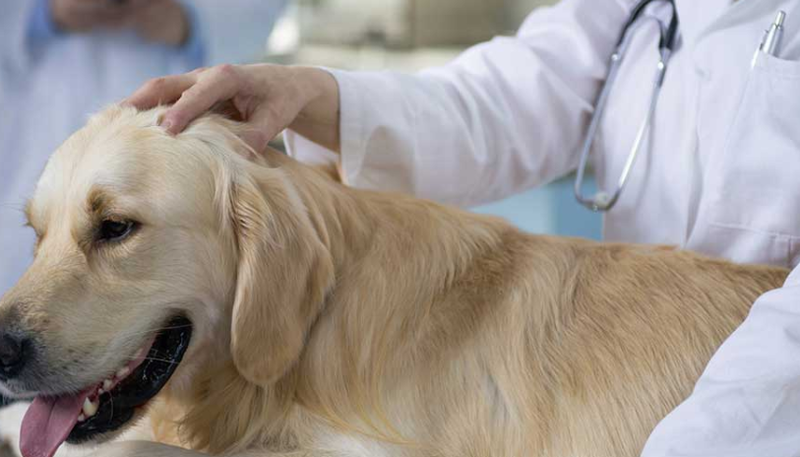 It is more common in treatment for doggy cancer patients as it has great and fast working antiemetic components, though it can sometimes be prescribed by a vet for more extreme cases of travel sickness. 2) Metoclopramide: This can also be used for humans for the same reason as dogs – nausea and vomiting. It is quite effective in its application of relieving sickness and car sickness symptoms. However, there have been some reported side effects which are worth considering such as lethargy and diarrhea. It is also not approved for veterinary use. 3) Cerenia: This is perhaps one of the more effective prescribed medications for dogs/other animals suffering from car sickness with long-lasting effects if administered in the correct dosage. Like most medicines, it has a time limit and shouldn’t be taken for longer than a five day period in case issues arise with the liver. However, it is an effective short-term solution. Last but not least, CBD. This is not a medicine as such; it is a natural supplement vitamin type solution that is proven effective time and time again. It grows in popularity and usage all the time thanks to the growing support around its many benefits for health and other things. Owing to CBD’s antiemetic qualities, it effectively reduces nausea in the same way that other non-natural medicines do, and therefore providing relief for conditions such as car sickness. There is some stigma still attached to the usage of CBD, but that is fading in place of support as the human race progresses with its thinking. CBD is not bad, it is good. CBD helps in so many ways and has so many healthy, natural properties and components that is becoming hard to ignore as a super food and super solution to a number of issues that have existed for thousands of years. It is natural to be wary of buying CBD, and it can get confusing when looking online to find the best CBD supplement for your pet and their sickness. However, there are more and more companies that are regulating themselves and providing third-party lab testing for their products to prove the contents and validity. 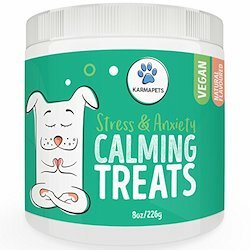 CBD can also, just like in humans, help dogs with anxiety which as we have already established is a leading factor in nausea in dogs when traveling. In fact, it is one of the more important considerations as the psychological effects of anxiety are much harder to retrain and heal from than the physical effects of pure motion sickness. There are numerous case studies available to read on www.Canna-Pet.com. The case studies cover dogs which have been helped by CBD products in relation to car sickness and other issues that they face. It is a good place to look for confirmation of results and offers a more in-depth look at the CBD products than traditional reviews that exist for other things. This shows that it is definitely a product to get behind and try because the results have been proven time and time again! There are no known side effects from CBD usage in pets, and there is constantly new research as to why it should be the first option rather than the afterthought. 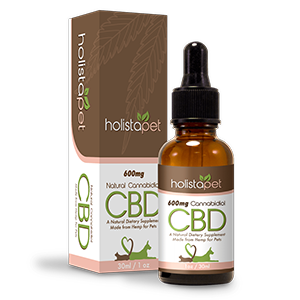 An example of an effective CBD product for dogs tackling car sickness is HolistaPet CBD Pet Tincture. This tincture is administered as expected, orally. It can be administered straight into the mouth of the pet or it can be added to food/water. It may be easier just to put it straight into their mouth, then for your peace of mind, you know that the supplement has definitely gone into the body. There is no need for concern that this product will have any psychological effects on your pet because it contains absolutely no THC. THC is the psychedelic component that is often associated wrongly with CBD products because of its links. Administered in this way, it will go straight into the bloodstream and provide instant relief. This means that there is no waiting around for a tablet to kick in and be absorbed, and you can give it to your pet quickly and easily right before traveling. This saves time and means it can be done last minute, which is handy when factoring in all the other things that need factoring in when traveling with a pet! HolistaPet provides clear dosage charts on their website, information that should be read before administering any medicine to any pet. 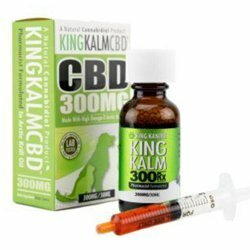 They provide information on all ingredients and strength percentage of CBD. They have even produced different measurements as according to small pet, medium pet or large pet. This is brilliant for you as a pet owner as often it can be frustrating finding the right product for the right size. Their product is not just for dogs either – cats and even horses can feel better by using this tincture. It is important to use a well-reviewed brand that is willing to show it can be trusted in the marketplace. Owing to a lack of regulations when it comes to the production of and selling of CBD products, lots of companies exploit this and provide inferior products. This product contains 100% natural ingredients so your mind is at rest that is absolutely under no circumstances anything harmful in there. CBD contains a wide and varied array of brilliant sustaining vitamins and minerals such as Vitamin D, B and E. Other nutrients such as protein stimulate healthy cell growth and organ function. CBD has been scientifically proven to improve pain and suffering from ailments such as migraines, fibromyalgia, epilepsy, and vomiting. The production of CBD is easy, good for the environment (much better than other naturally grown products such as cotton), and good for the economy. CBD contains absolutely NO THC components; you cannot get ‘high’ or feel under the influence from using CBD. It is a natural remedy which comes in various forms in order to aid pain relief and relaxation from various things. It is a different substance from marijuana drug which is illegal, unlike CBD. It can taste pleasing, which is an added bonus when administering to pets.